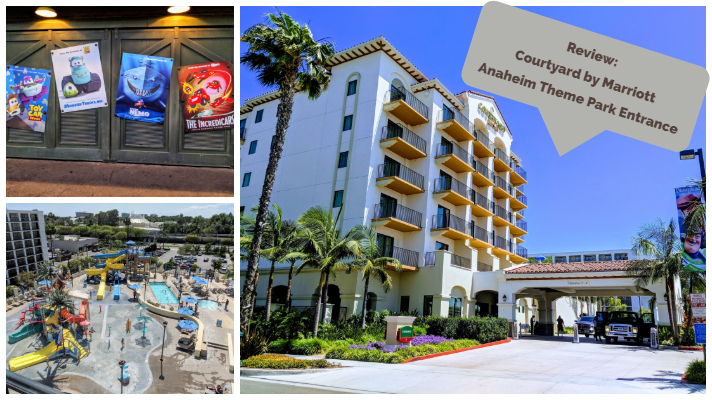 The Courtyard by Marriott Anaheim Theme Park Entrance is located on South Harbor Boulevard in Anaheim, only a 9-minute walk away from the parks, and is the perfect off-site hotel for families to stay at when visiting the Disneyland Resort. 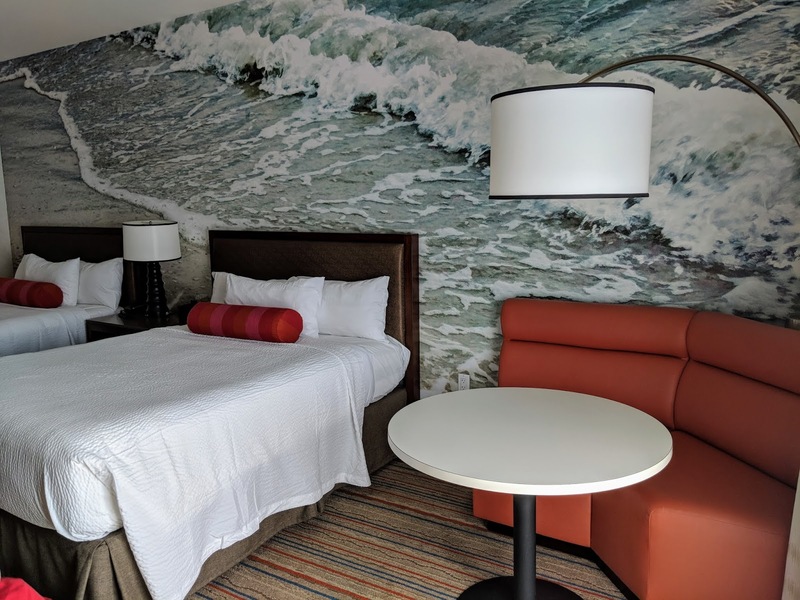 The colorful modern hotel offers views of the nightly fireworks, an outdoor water park, and bunk beds with enough space for up to six people per room. The Courtyard by Marriott Anaheim Theme Park Entrance is a six story hotel featuring 221 extra-large guest rooms, state-of-the-art amenities, a water park area, convenient dining and great views of evening fireworks from Disneyland Park. 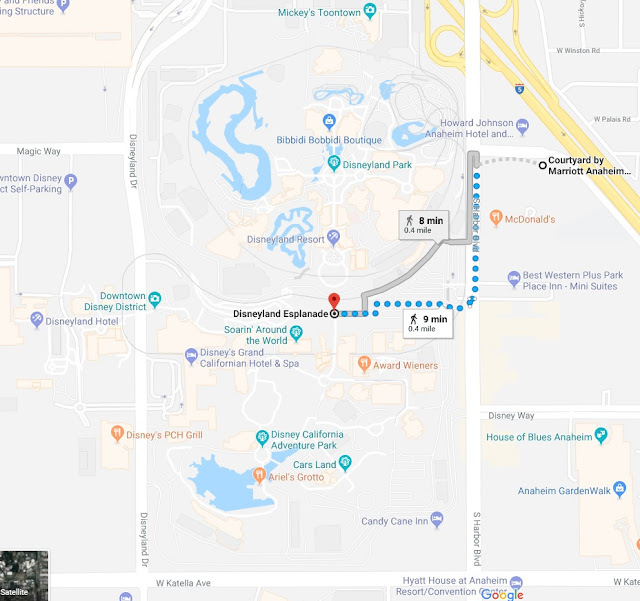 This property is pretty much the only big brand hotel close enough to Disneyland (walkable under ten minutes) that isn't a motel. 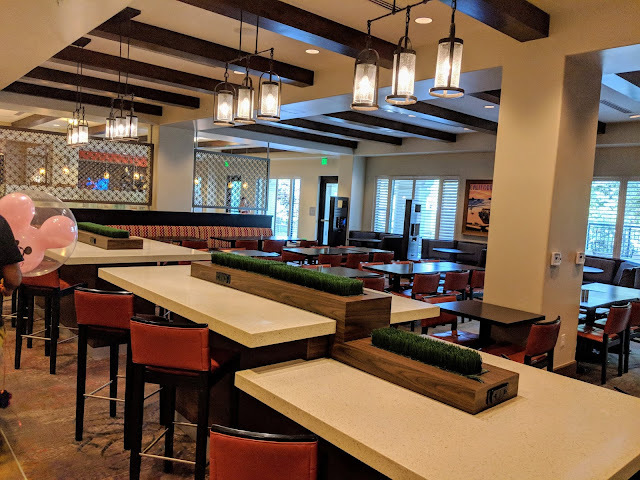 The lobby encompasses the check-in desk area, living room style seating area, small shop and a bistro serving breakfast, lunch and dinner items, as well as grab and go items. 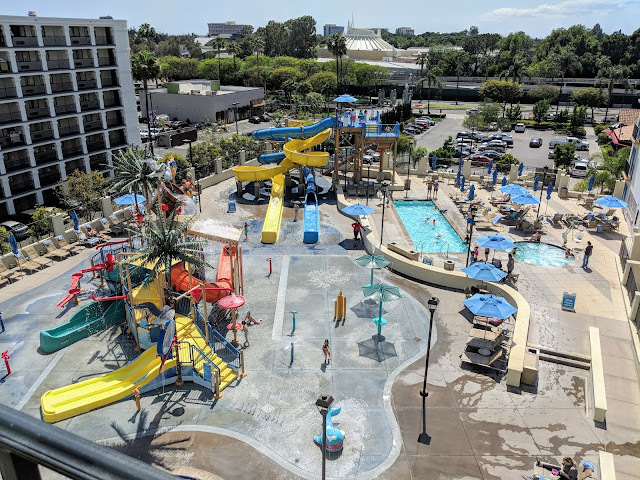 Waterpark: The Surfside Waterpark features 30-foot water slides, a 400-gallon drench bucket, swimming pool, kid's pool, and great views of Disneyland. 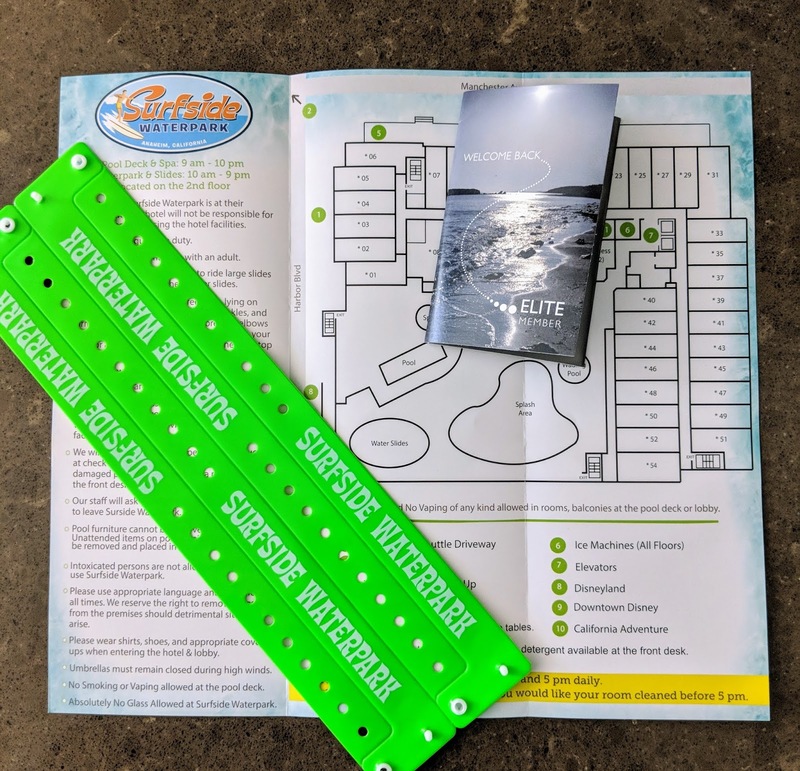 You have to wear your wristband when enjoying the water park. Valet parking: There is no self-parking available and valet will cost you $20 daily. 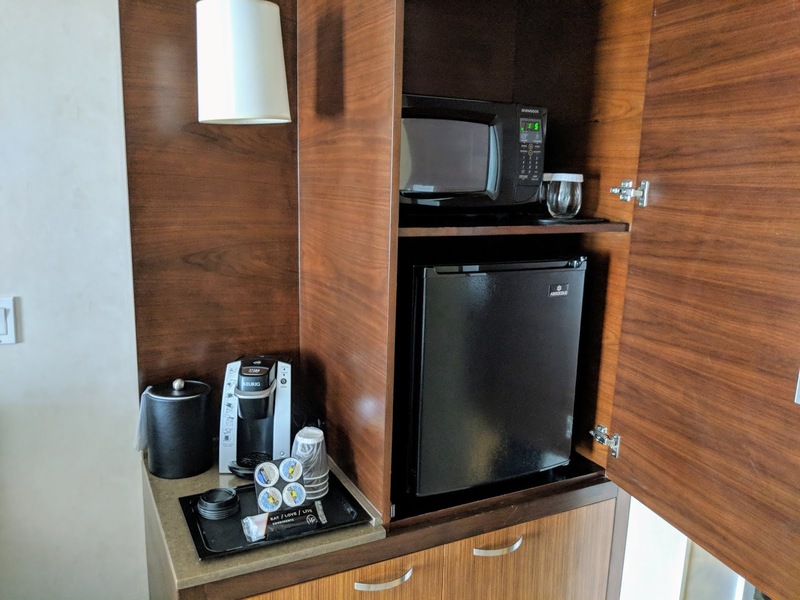 The hotel features large 530 square foot rooms with each rom being able to accommodate up to six people. 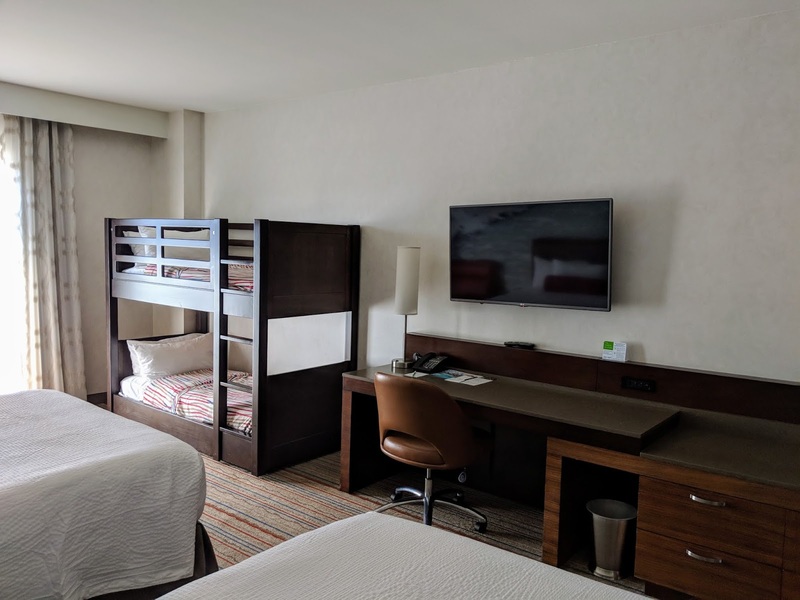 The rooms are very family-friendly and include twin size bunk beds, two showers, mini fridges, microwaves and large television with Netflix streaming available. 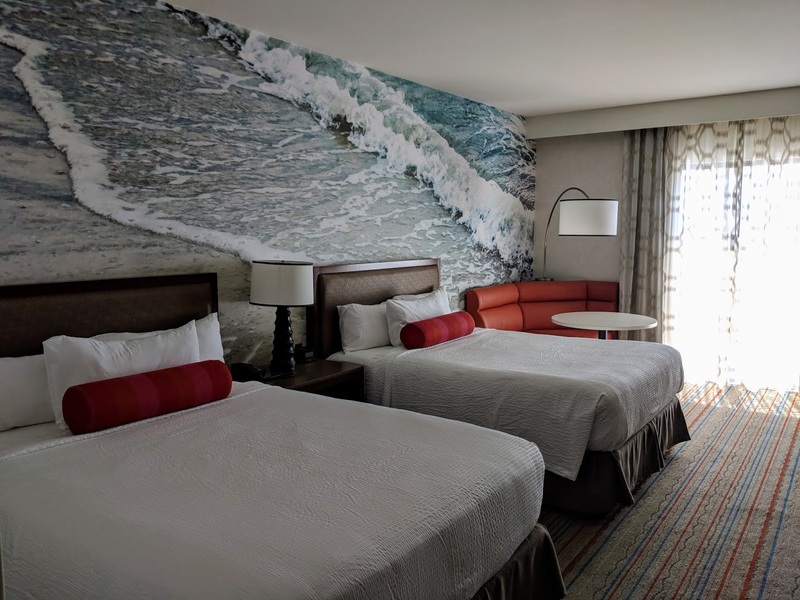 The decor of the rooms is bright and warmly decorated, with upgraded rooms having pool or theme park views and some with balconies. Larger suites add sitting areas, dining tables and separate bedrooms. 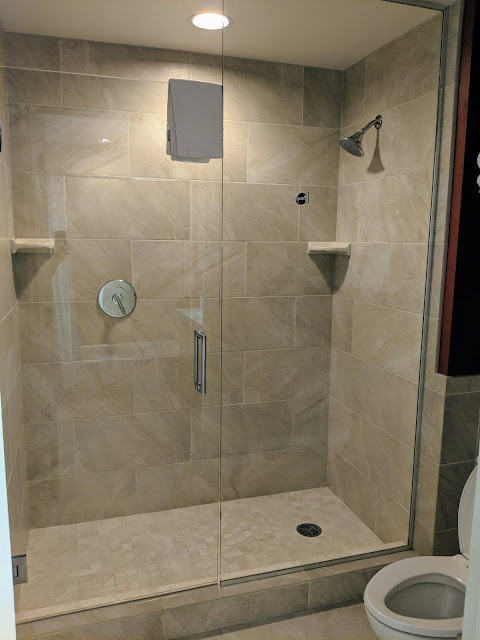 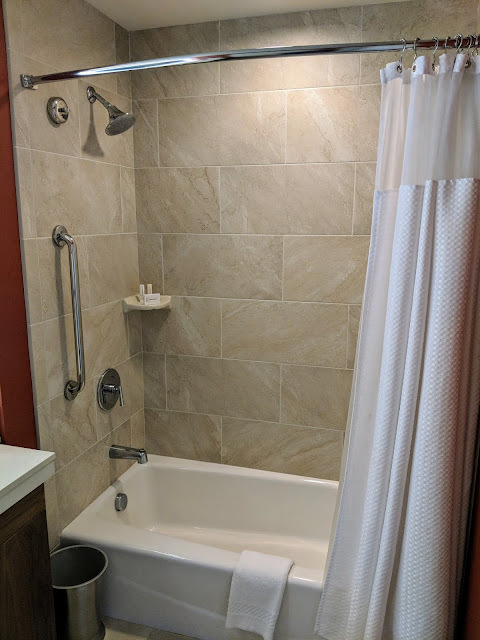 The bathrooms are large and feature two showers, one regular shower and a tub/shower combination that is perfect for young children. For our most recent stay here, we decided to check out the Courtyard Anaheim Theme Park Entrance due to the brand consistency (knowing what to expect) and distance to Disneyland. 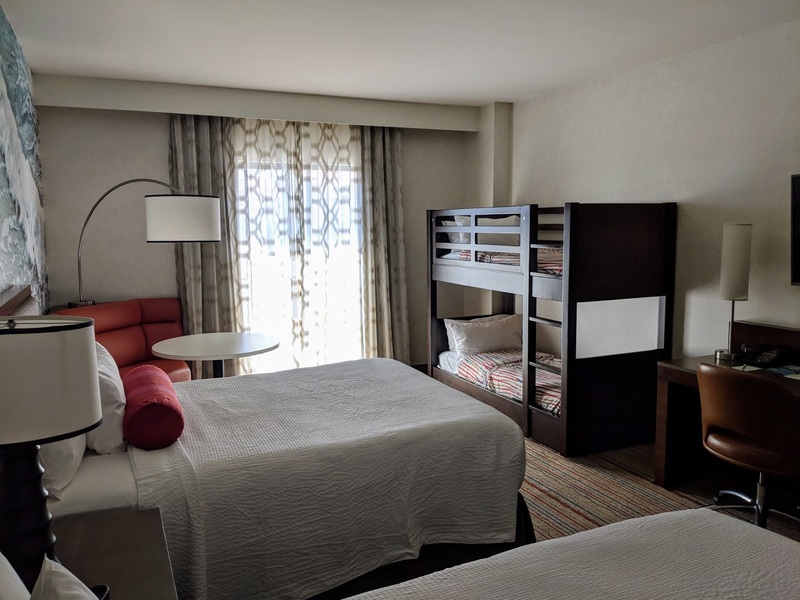 We booked a base room with no view since room rates were pretty high otherwise (but not as high as the Disneyland hotels) and were pleasantly surprised to be upgraded to a theme park view room on the top floor (Marriott Elite Gold Status). 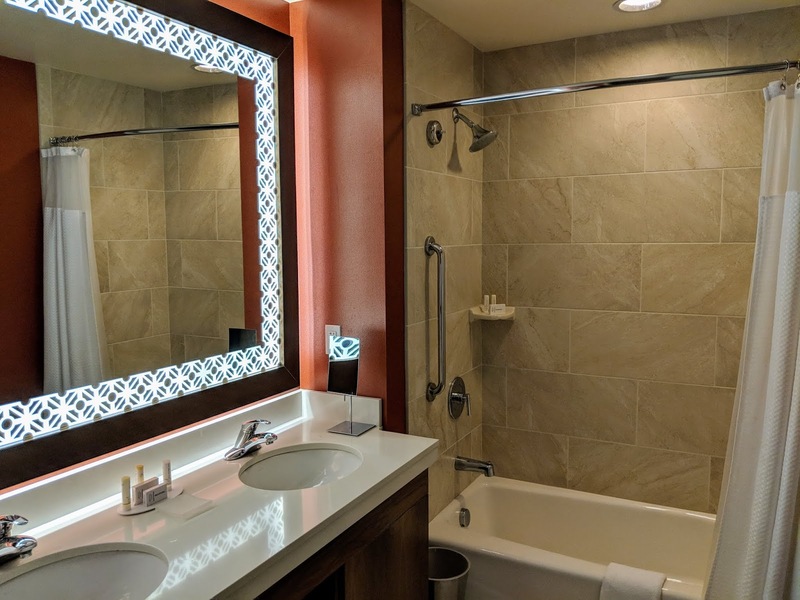 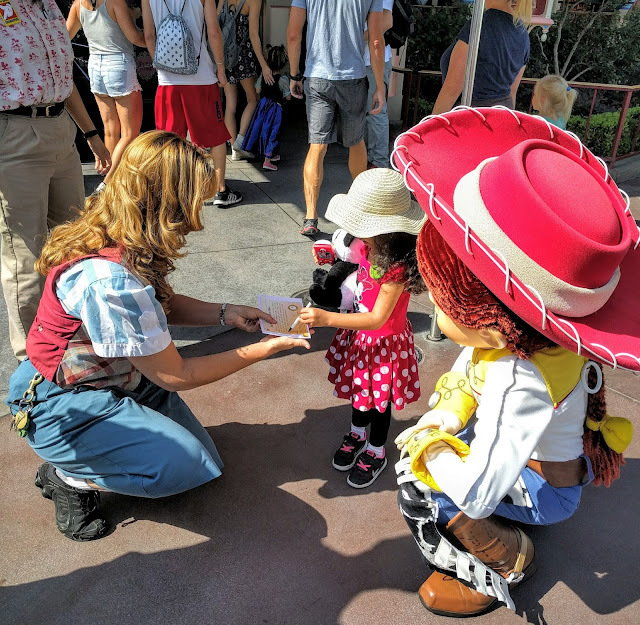 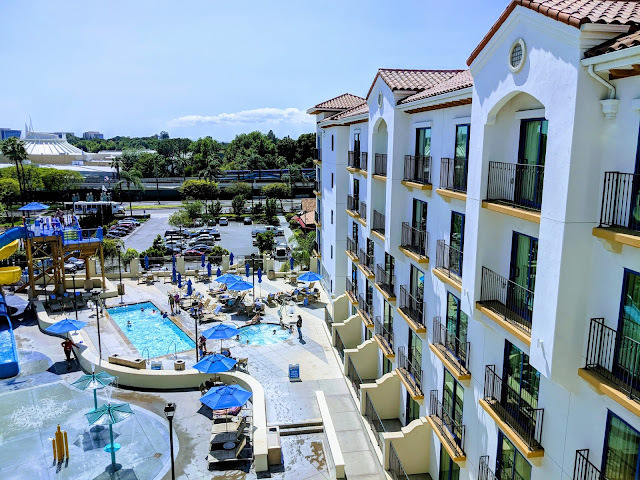 The hotel is close enough to Disneyland to walk with young children and strollers in tow and the on-site amenities are nice perk to have, i.e., the waterpark, bistro and large rooms. 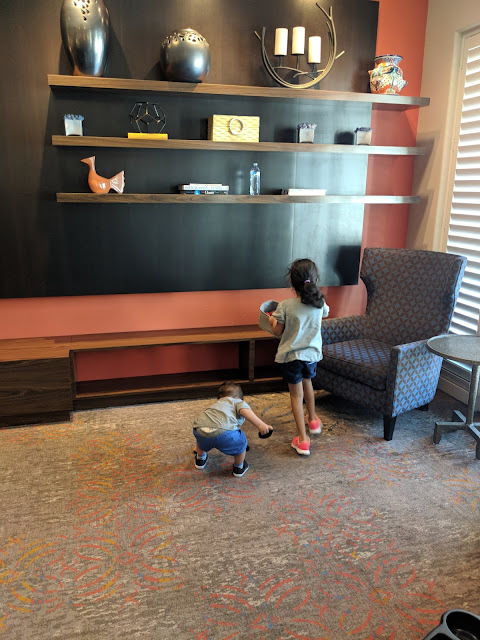 For future visits to Disneyland, this hotel is definitely my top non-Disney off-site choice.